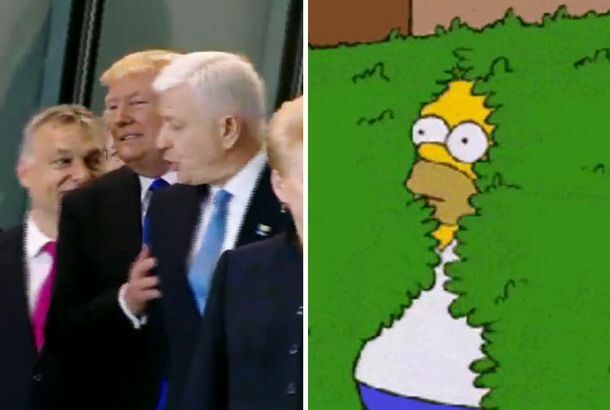 If You Play the Shove Backwards, Donald Trump Is Homer SimpsonTrump steps back to hide behind his fellow NATO members. Congressman Joe Garcia Picks Ear, Eats It on Live TVSometimes the American public needs to see things that make them uncomfortable. Andrea Bargnani Hurt Himself Attempting the Saddest, Most Knicks Dunk EverWatch the GIF over and over again to feel the pain of Knicks fans. Here Is Mitt Romney Doing a Little Jig Onstage, with a live band! Rihanna and Cara React to Tonight’s ForecastEEEEEEEEK. Watch Tilda Swinton’s Hair Blow in the Cannes WindIt’s like a swirling soft-cream machine. See the Necessary Gus Fring GIF From Last Night’s Breaking BadIf you watched, you know the one.